A few nights ago, I was in a GTA Online stunt race in a packed lobby. Suddenly, I heard another player start losing it. He was upset about something called “curb boosting.” I’d never heard of it before, but as it turns out, some players exploit GTA Online’s physics to push cars beyond their limits. While old, curb boosting is a trick that still sparks arguments and meltdowns within the GTA community. Curb boosting has been around since 2014, and through the years, it’s caused a bevy of debates for racing aficionados. Is it fair to use? Should it be banned? The technique is controversial enough that players go out of their way to avoid it. For those who don’t know, curb boosting is technique in GTA Online that speeds cars up in a way that doesn’t seem intended by Rockstar. It’s relatively easy to pull off: all you have to do is drive onto and off of a curb. Doing this will give your car a small boost. Do it enough times without crashing or slowing down and you can quickly gain a significant top speed increase, as you can see in this video by Youtuber CoyneDawg. There’s no official word on what makes curb boosting work, but the one popular theory amongst fans is that curb boosting makes cars go airborne, allowing tires to spin faster without road friction. Other players, like popular YouTuber Broughy, believe that curb boosting has more to do with car suspensions. 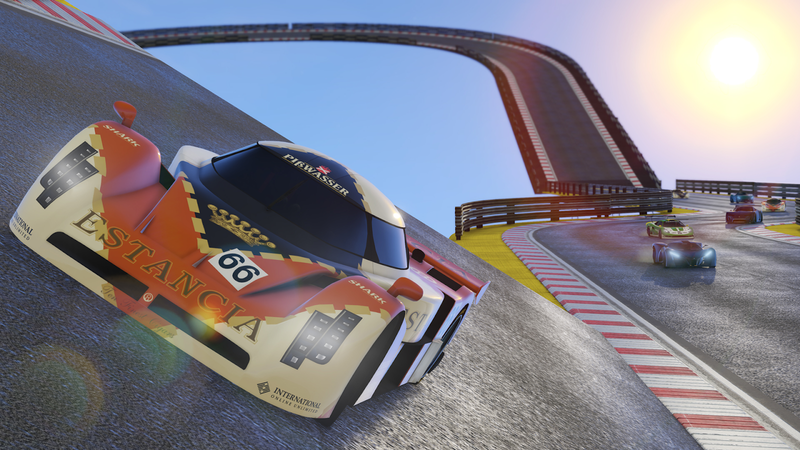 “[Boosting] works because the speed of cars in GTA Online is all based on the engine revs,” Broughy claimed. 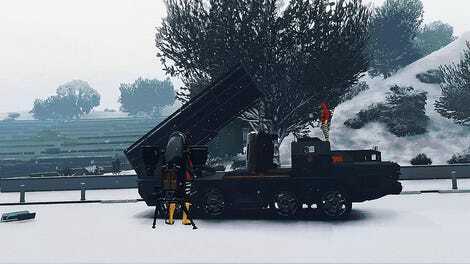 “Anything you can do to get those revs to increase quicker (or go higher still if you’re already at top speed) will make the car quicker.” According to data miners, GTA Online is coded in such a way that when the suspension of a car or truck is compressed, the engine revs up more—likely to help players from getting stuck on ramps or mountains. Curb boosting supposedly takes advantage of this by repeatedly compressing the suspension, therefore the car keeps going a little bit faster. On PC curb boosting, sometimes also called curbing or kerb boosting, is even more effective due to higher frame rates. Running GTA Online at 60 FPS on PC, or even higher than 60 FPS, allows the suspension more time to compress more often. If done properly, a player could shave 2 seconds or more off of their lap times and pass players more often. Curb boosting could theoretically result in more wins, so I decided to try it out for myself. At first I found it tricky to hit curbs while not losing too much time or spinning out, but after a while, I started to find a rhythm. Eventually, I was making the top three more often. Naturally, any trick like this causes frustration. A lot of players wish Rockstar would fix the exploit. Some feel it is ruining races and forcing players to curb boost if they want a chance at winning. Some players are trying to set up groups for “clean racing” that frowns on using curb boosting. While players aren’t sure just how many other racers are even using the trick online, enough people are talking about it and sharing stories that it seems to impact races on the whole. Some track creators make races that are designed to make curb boosting harder or near impossible. Players use long barriers across turns, for example, so boosters can’t cut across the curbs. And more simply, track creators create tracks in areas without curbs. While these methods can help limit curb boosting, it can never fully eradicate the practice. But, not all players hate curb boosting. Some don’t realize the technique even exists. Others don’t seem to care about the trick. One reason is that they believe curb boosting is really only helpful if used while staying on the most efficient racing line. And players who race like that are already skilled enough that the boost might not really help that much. At this point, it seems unlikely that Rockstar will ever fix this issue, so players either have to learn how to do it, or learn how to beat it.